Back in the early 1990’s, Eastgate made a serious run at independent bookstores as a place to buy original hypertexts. To be fair, the heavy lifting in this area was done by Bob Stein and his Voyager Company, which developed the modern eBook; we were hoping that, once Voyager had convinced stores to carry eBooks, we could convince them to carry our original hypertexts. We had some success, especially at such forward-looking stores as Shaman Drum and Tattered Cover. We closed some chain sales, too. But in the end, we learned a key reality of bookselling: no publisher can solve a bookstore’s problems (and booksellers always have terrible problems). And no publisher can really cause problems for a bookstore. There are always other books than yours. Scholastic was able to cause some problems with the later volumes of Harry Potter. But that’s an exceptional case, and even then the problems were annoyances that seldom threatened the store’s existence. A further fascinating sideline: if Amazon is willing to risk legal sanctions and widespread hostility, then Amazon must think this part of the business is worth a fight. Is the book business really the core of Amazon? Amazon says its the world’s biggest bookstore, but they know their core business is fulfillment, not books. Books were a great place to start — prestigious, non-perishable, rectangular – but they were only practice. I’ve always thought that the Kindle was, for Amazon, a nice little sideline, a speculation play that had a low but finite probability of a really big payoff in 5-10 years. That’s consistent with Amazon to date, but inconsistent with Macmillan: you don’t go to war over a side bet. Over the weekend, Amazon went to war with Macmillan (and with them the entire Holtzbrinck Group), and then, suddenly, capitulated. The surrender statement, however, is odd and ill-written. In last year’s Orwell Affair, in which the apparent stakes were much smaller, Amazon’s resolution was brilliantly written. One tell: the claim that Macmillan’s copyrights are monopolistic does nothing for Amazon – of course copyrights are monopolies, that’s why Queen Elizabeth invented them – but helps Macmillan by focusing attention on Amazon’s potential monopoly in distribution. It’s not in Amazon’s interest to talk this way, but it might be exactly what a stressed division manager would be feeling. The Macmillan statement is signed by "The Kindle Group"; the Orwell Affair apology was signed by Jeff Bezos. My guess: someone was tasked with writing a draft, and instead published the thing. This is going to make an amazing book. As Tim Bray observed: the marketplace of the 21st century was being negotiated before our very eyes. I spent Friday at Gatz, the 7-hour production of The Great Gatsby staged by Elevator Repair Service at the American Repertory Theater. It’s a staged reading: a fellow comes back to a dingy office, his PV won't boot, he opens up his 5" floppy disk case and finds a battered paperback. He begins reading. Every word. Other people around the office work, they wander in and out, and from time to time they pick up bits of dialog. This really makes a difference — it makes it theater. Jordan Baker (Sibyl Kempson), Nick’s golf-star girlfriend, lounges around the office practicing her swing, reading golf magazines, and looking at Nick; it’s a quiet part, but Kempson is a terrific clown in the best sense of the word, and with a toss of her head and a twist of her shoulders she transforms herself from a a short, dark worker in a dingy, dark office to the sleek, rich, blonde who might have been Nick’s Daisy Buchanan. There are too many standing ovations these days — Linda and I pointedly sit through at least half of them — but it’s impressive to get a standing O after seven hours of watching a guy read a book. Brilliant. Thomas Jefferson, a compulsive note-taker, would have loved Eastgate’s Tinderbox, an innovative and endlessly versatile tool for recording, cataloging, and sharing notes. Ted Genoways, editor of the Virginia Quarterly Review, writes in Mother Jones about the long, slow demise of the literary magazine and, with it, the apparent end of magazine fiction. A central point in this much-discussed article is often overlooked. Back in the 1930s, magazines like the Yale Review or VQR saw maybe 500 submissions in a year; today, we receive more like 15,000. Genoways muddles his point immediately thereafter (he seems to be blaming diversity for the amount of bad writing these journals receive), but the core observation stands: literary journals receive lots of submissions, and the people who submit stories to literary journals seldom read them. Indeed, lots of these journals, including some of the best, process far more submissions than their print run. When was the last time someone told you at lunch that they'd just come across a great short story that you should read? When was the last time you heard the sports guy on the radio mention a new short story? “People don’t read” is a canard, a silly thing that grumpy people say. It’s patently untrue. There’s no other way to learn physics or chemistry or medicine or software design. We still have physicists and doctors, so someone reads. We don’t read short fiction. Why not? Because we watch a lot of movies, and we read a lot of novels, we all have bookstores and everyone has Amazon. Magazines were designed for a different set of constraints: tiny bookstores, subsidized postal rates, exorbitant shipping rates for parcels. The gas-powered truck, not the Web, killed magazines by making it as easy and cheap to stock a good bookstore in San Francisco as in Manhattan. Visiting Paris, Adam Gopnik asked his hosts why they always went together to Cafe Flore and never went next door to Les Deux Magots. The answer wanders from their foundations in the 1870’s to the characters of long-dead proprietors, the nature of French fashion, the drinking preferences of Sartre. But the core answer seems to be, simply, that in the early 1940’s Les Deux Magots was too often filled with German tourists, and so fashionable Paris grew to prefer Flore. 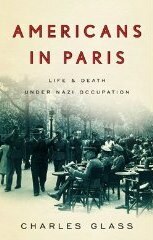 Ever since reading this wonderful passage, I’ve longed for a rich, anecdotal account of life in Occupied Paris and its echoes. This is a fine book, but it’s not Marianne in Chains and it’s not quite the book I wanted. Glass uses the American community as a microcosm of Paris, one that has a conveniently rich historical record because lots of Americans (and the American government) were naturally eager for news of Americans trapped in the occupation. The subjects of this group biography are varied, ranging from Shakespeare & Co. bookseller Sylvia Beach to the Comtesse Clara de Chambrun, a cousin of the Roosevelts who was also Laval’s mother-in-law. 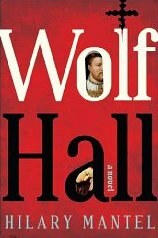 Thomas Cromwell rose from nowhere to counsel the king. He rose through Wolsey’s household — Wolsey himself was a butcher’s boy — and became Henry VIII’s chief advisor and Thomas More’s rival. Mantel charts his rise, and subtly argues that Cromwell’s character holds a key to the centrality of tolerant intelligence in British political culture. Thomas More comes to Austin Friars. He refuses food, he refuses drink, though he looks in need of both. The cardinal would not have taken no for an answer. He would have made him sit down and eat syllabub. Or, if it were the season, given him a large plate of strawberries and a very small spoon. I envy the fierce, deniable malice in that plate of strawberries. I saw 38 movies this year. (I know this because I keep notes in Tinderbox. 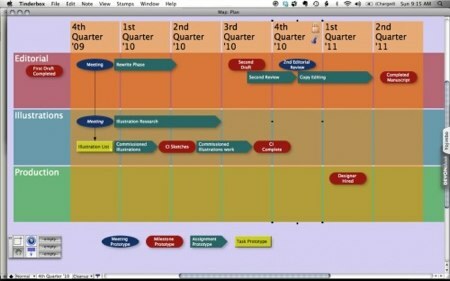 You can see them in the left column of the main page, http://markBernstein.org/. That’s better than the previous year, when I saw 33 movies. Some of these movies are long: I count a seasonal television show as one film. Still, this seems too low; I’d like, for example, to be reasonably conversant with most of Ebert’s Great Movies, and to even get started on them (there must be 140 by now) I've got to pick up the pace. Dictionary Johnson’s tricentenary has already been the occasion for at least three major new biographies; This one was recommended as the best for Johnson and his milieu, and it turns out to be a pleasant, convivial, and engaging read. 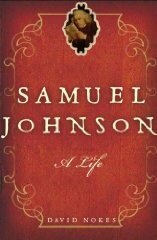 Johnson started slow – he was middle aged before he was much of anything. He was always short of money but no one could be more ready than he to provide you with a glass of wine, a dish of tea, a spare half crown, and a memorable quip. TPM was the first to say it: whether we like it or not, Haiti is now an American protectorate. As of today, for all practical purposes, Haiti is an American Protectorate. Its own government, to the extent it ever functioned, has now collapsed. Its major city has been leveled, along with most of the institutions of the state and of civil society. Other states and international institutions will contribute aid and resources. Perhaps the UN will expand its current mission in the nation, and assume formal responsibility. But the only nation capable of keeping Haiti from absolute collapse is the United States. Irrespective of the bodies through which we choose to work, the responsibility is ultimately ours. “Prime Minister (Jean-Max) Bellerive signed a memorandum of understanding granting airport control to the United States,” State Department spokesman P.J. Crowley told a briefing. A fresh exploration of what I can manage, given the necessarily late start on a weekday. Not that late: 4pm. Fun with flex time. Still, it was a busy three hours and a close game, but the home team won in the end. I don’t really remember the chicken, unfortunately; I've been working harder on getting roast chicken right these days, and had real hope for the improvised sauce. I made Clotilde’s cookies with Caillebaut, which I had on hand; they're better with Valhrona, and they're better if you don’t overcook them. They’re still pretty good. Gunnar Liestøl sends word that Peter Bøgh Andersen has died after a long illness. He was instrumental in early research into the computer as a medium, a concept that now seems commonplace but that once appeared remarkable. His ECHT ’90 paper, “Towards an aesthetics of hypertext systems. A semiotic approach,” is not often cited by played a vital role in the history of literary hypertext, helping to legitimate serious study of hypertext and drawing attention to the relationship between hypertext and cinematic rhetoric. We've been pondering hypertext criticism this week at Eastgate. I’ve been revisiting essays that were old friends, and finding many are even better today that they were when new. As I thread my way through ebr, I touch base with the artificial intelligentsia that my work circulates in. The artificial intelligentsia is an internetworked intelligence that consists of all the linked data being distributed in cyberspace at any given time, one that is powered by artistic- intellectual agents remixing the flow of contemporary thought. I'm picking out Amerika here because he’s a well known and capable writer; he’s not struggling with the language and he’s not a forlorn student. He knows new media, he’s widely read and his art widely exhibited. This passage introduces and explains a project, and it stands alone. It’s prominently displayed in a noteworthy journal. What is “the artificial intelligentsia”? The conventional intelligentsia are people distinguished by their education and intellectual interests. Are the artificial intelligentsia all the robots that went to university? Or does this mean the body of researchers who study artificial intelligence? James Fallows used the term in 2006, but his article doesn’t seem to illuminate this one. In what sense, precisely, do we touch base with this intelligentsia? The metaphor is drawn from baseball, where a baserunner must at various points touch base in order to avoid being called out, and describes quasi-social contacts that are, in fact, necessary business calls: "Yes, I’d love to meet you at the Polo Lounge, but first I need to touch base with my agent.” If this writing is precise, there should be a penalty for failing to touch base. But what penalty is envisioned? Amerika’s work circulates in the intelligentsia. “Circulates” suggests blood flow; which of Amerika’s artworks are fluid? The usual preposition for exchanging ideas or books within a group of people would be among: why “in”? The dangling (though defensible) preposition clamors for attention, but what does it say? Some of these questions might be addressed in the next sentence. But what is an “internetworked intelligence”? Can “the linked data” be an intelligence? Intelligence suggests self-awareness and agency, and I’m not certain “the linked data” – even all the linked data – have either. And this intelligence is powered – it needs batteries? – by artistic- intellectual agents. What or who are they? Are these intellectual agents part of the natural intelligentsia, or part of the artificial one? If the latter, is the artificial intelligentsia self-powering? I’m a sloppy writer. I’m especially careless in this weblog. But I doubt that the difficulty of understanding this passage arises from carelessness or inattention. I don’t understand what this passage says. I used to do AI research. I’ve studied hypertext and networks for decades. I’ve read a lot of the pertinent literature. If I’m not the ideal reader for EBR, I ought to be in the ballpark. And, if I’m not: how might I clamber in? I’m pretty good at picking up new fields. I was trained as a chemist, I never took a computer science course. I manage to read books about charcuterie and archaeology and 18th century history, fields of which I know nothing. I can’t read this, and I can’t figure out how to learn. Google doesn’t help. A shelf full of books about hypertext doesn’t help. Another shelf of books on AI research doesn’t help. Can you help? Email me. This passage lies at the top of a page featured on the home page. EBR’s editors are English professors. Whatever this is, I’m pretty sure it’s not an accident. If it’s this hard for me, what does this say to graduate students? To people searching for something worth reading? For writers seeking to improve their technique? And if the electronic book review is mute to graduate students and readers and writers, to whom is it addressed? Update: A correspondent writes to say that (a) I sound like an angry old man, and (b) the meaning is clear: “I like to read EBR, and I am pleased EBR readers like my work.” It’s a blurb. Sydneysider David Phillips (cafedave) joints the Tinderbox tutorial festivities with a nice introduction to planning a sermon with Tinderbox. For lots of programs, this sort of task would be the end of the project. In Tinderbox, it’s a starting point! Update: Here's part 2 of the tutorial! You can’t make and sell copies of (say) Mac OS X without Apple’s permission. But you can use TextEdit (which comes with Mac OS X) to write a text file, which you can save, copy, and sell without further obligation to Apple. Question: how do we know we can do this? Where is it written? Similarly, how do we know, when buying a typewriter, that its manufacturer doesn’t acquire some rights to whatever we produce with the typewriter? Three intriguing short essays explore aspects of literary theory that might be illuminated by quantitative methods. 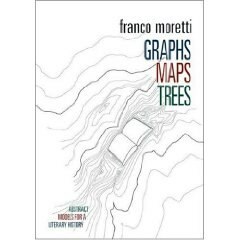 The “graphs” here are Cartesian graphs and the “maps” are primarily geographic maps; the book limits itself to elementary analytical techniques. The chapter on “graphs” chiefly explores the growth in the publication of new novels, and specific genres, over time, observing that there is an important, qualitative transition when the rate of novel publishing ensures that there will always be plenty of new things to read. The chapter on maps features a fascinating map of 19th century Paris, locating their protagonists (chiefly in the 5e) and the objects of their desire (chiefly in the 7e and across the Seine).